But thankfully, you can do something that may help you feel better! The Tree of Life Wellness Center will begin offering Prenatal Specialty Classes March 2, specifically designed to help you battle common pregnancy problems, and prepare for an empowering birth. During pregnancy, there is no shortage of aches and pains. Your body is growing and stretching in new ways that shift your center of gravity and your organs. Gently stretching with pregnancy yoga can help relieve some of this pain and help the process along. It is common to experience anxiety and worry when you are getting ready to have a baby, but this can make you more stressed and have negative consequences for your health. Prenatal yoga can help quiet the mind through the focus on the breath as you go through the poses. This calms the nervous system and helps you break away from those worries. Exercise during pregnancy is very important for the mom and the baby. The movements of prenatal yoga provide the perfect type of light exercise for pregnancy. This is great for baby’s system, providing stimulation that can help activate their brain and even boost circulation to your uterus. One of the best things you can do for yourself and the baby is to make sure to build up some strength. Labor is a strenuous activity, and by being limber and having strong core muscles, you will give yourself a more comfortable and easy birth. The hardships of labor do not end after birth. Once the baby is here, you have the hurdle of recovering from labor. If you have been exercising regularly, you will enjoy the many benefits, including increased metabolic rates and quicker recovery. 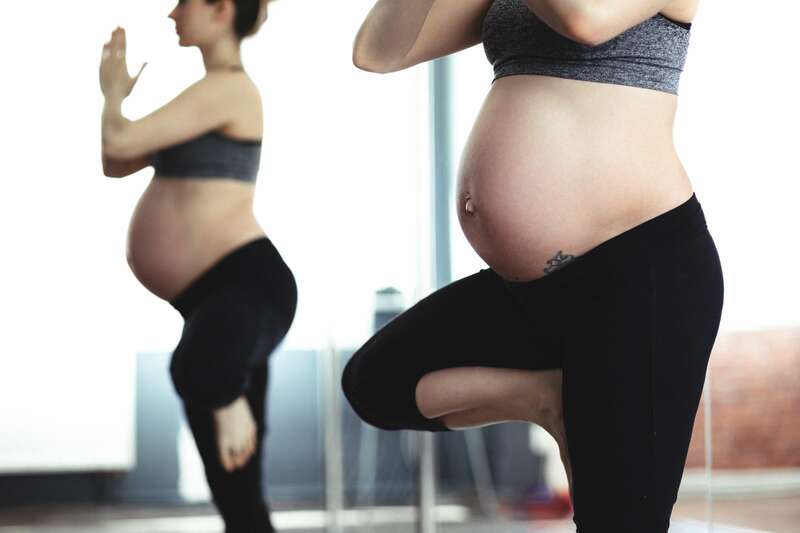 Since pregnancy yoga targets the specific muscles used in childbirth, your body may already have the advantage of an easier birth, which typically means an easier recovery, too. Ready to start your prenatal yoga journey? Head on over to the Tree of Life Wellness Center at The Shops at Willow Park for their new prenatal yoga class that starts March 2.